Every member of the Lippy Pal Collection keeps your lips moisturized all day with authentic tasting flavors from Lip Smacker®. 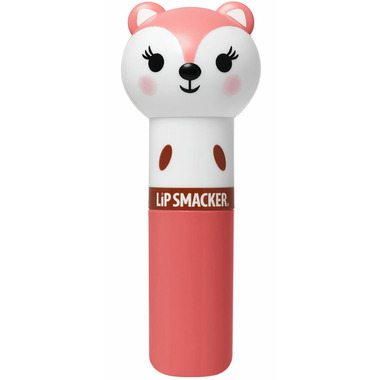 Unique packaging designs feature the adorable character in each lip balm, making it near impossible to resist a smile on your face when you apply it. 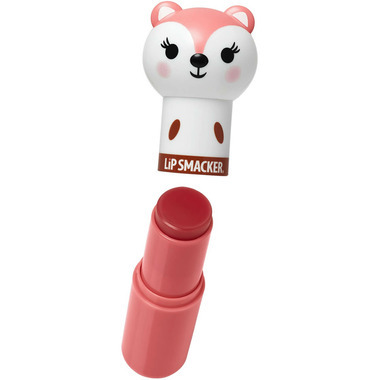 Collect them all to keep your lips moisturized and smile all day long! Ingredients: Ricinus Communis (Castor) Seed Oil, Cetyl Acetate, Beeswax/Cire D'Abeille, Euphorbia Cerifera (Candelilla) Wax/Cire de Candelilla, Polybutene, Flavor/Aroma, Paraffin, Sesamum Indicum (Sesame) Seed Oil, Copernicia Cerifera (Carnauba) Wax/Cire de Carnauba, Hydrogenated Soybean Oil, Mineral Oil/Huile Minérale, Acetylated Lanolin Alcohol, Microcrystalline Wax/Cire Microcristalline, Triticum Vulgare (Wheat) Germ Oil, Stearic Acid, Stevia Rebaudiana Leaf/Stem Extract, Sucralose, Propylene Glycol, Propyl Gallate, Citric Acid, Phenoxyethanol, Tocopherol. May Contain: Blue 1 Lake (CI 42090), Red 21 Lake (CI 45380), Red 28 Lake (CI 45410), Red 6 Lake (CI 15850), Red 7 Lake (CI 15850), Titanium Dioxide (CI 77891), Yellow 5 Lake (CI 19140).